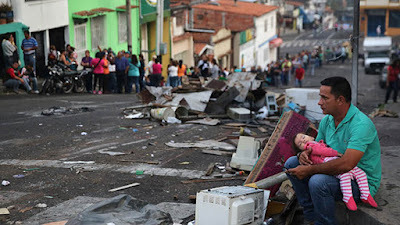 Lord, today we pray again about the food shortage in Venezuela. Most of us cannot fathom having to begin waiting in line at 3 AM to receive basic food staples. We cannot imagine feeding our children only once per day, or taking them out of school because we cannot afford transportation or school supplies. Lord, we pray for the children of Venezuela. We know this is not just a short-term problem. We know it’s not just about them not getting enough to eat now. It’s about their long-term health. It’s about their long-term education. And the children’s long-term health and education affect the future of the nation. Lord, please give the leaders of this nation wisdom, creativity and a willingness to sacrifice in order to care for and guide their people. We pray for Venezuelans to show the best of their character in the midst of this desperation, rather than the worst. We pray for determination and creativity as parents seek to provide for their children. And we pray for strength for the children, even when they aren’t getting enough to eat. Please sustain them, Lord. In Jesus’ name we pray, amen.